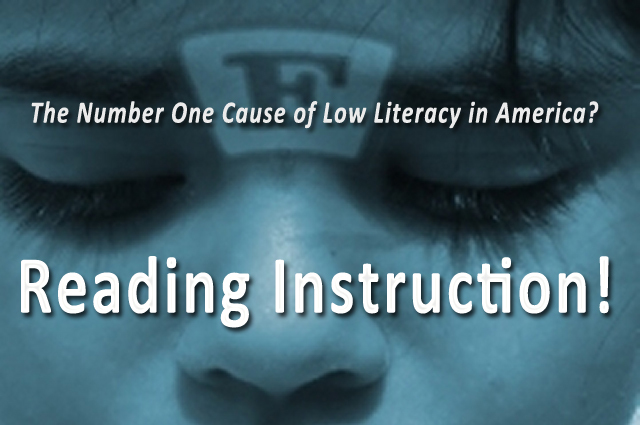 More accurately stated, the number one cause of low literacy in America is the archaic mental models that constrain the ways we conceive of, design, and deliver reading instruction. Sure, early-life-learning-trajectories that insufficiently prepare children for the challenges (linguistic, cognitive, emotional, and attentional) involved in learning to read certainly make it harder. But why haven’t we been able to overcome those variations with instruction? The prevailing wisdom would say, it’s because teachers don’t understand what is involved in acquiring literacy; they haven’t been trained, or aren’t following the instructional models that are out there. No! It is the paradigm common to all those models that perpetuates this crisis. Any child who has even a rudimentary spoken language could learn to read, if met and guided in a way that adaptively scaffolded them up from the language that he or she has. The fault isn’t in the kids, and it’s not the fault of the parents or teachers, either. The fault lies with thinking of reading instruction through a ‘static printed text’ model, rather than a ‘dynamic digital character’ model. Using simple technology (already installed on smartphones, tablets, computers, and even TV set-top boxes) we can make words come alive with everything that is needed to support kids learning to read them (on their own; with far less instruction required). Sound far-fetched? Click on any word on this page, and then click it again, and again! You will see and hear what I mean.